BMW Motorsport CEO Kay Segler announced on Jan. 31, in an interview with the Canadian media company Sympatico that the upcoming F10 M5 will have an option for carbon-ceramic brakes, something M5 owners have been longing for since the debut of the E39 M5. The E39 M5 is a great automobile, with impeccable, classic BMW styling and a 5.0-liter,400 horsepower, V8 engine that blew away the competition at the time. However one of the aspects of the car, any car, the brakes, seemed to be inadequate. The E39 M5 is a heavy car, weighing over 3700 lbs. Therefore slowing down and stopping a 3700 lbs car, capable of reaching a top speed of 185mph (delimited) can be quite a task. This is especially the case in any type of racing or hard driving conditions. The E39 M5 came from the factory with four-wheel vented disc brakes measuring 13.6-inches in diameter in front and 12.9-inches in the rear. Because of this many enthusiasts who own a E39 M5 have invested in aftermarket brake rotors from companies such as StopTech, APRacing and Brembo. The next generation of M5, the E60 featured cross drilled, vented disc brakes. However BMW still did not have carbon-ceramic brakes as an available option. While BMW Motorsport chose not to invest in this equipment, their competition; Porsche, Audi and Mercedes-Benz did. 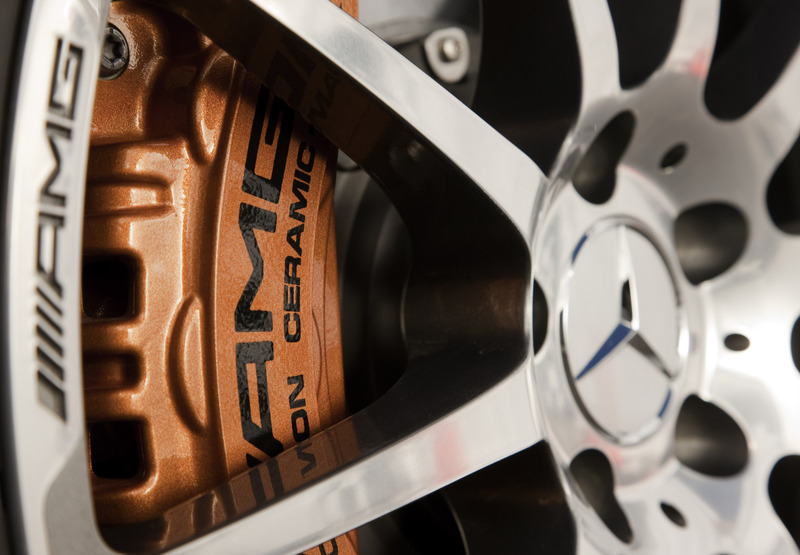 Mercedes-Benz offer they own ceramic-composite brakes as an option through the AMG Performance Studio. They are available on the SLS, E63 and CLS63 AMG models, the latter two being some of the primary competitors to the F10 M5. Porsche has their Porsche ceramic-composite brake (PCCB), and available on all 911 models. With the announcement from Segler BMW M looks like they have made a commitment to stay on par with the competition, and are still aware of the demanding nature of M owners. The new BMW ceramic-composite brakes will definitely be a good thing, even if they cost you your first child. After all, every M cars since the E30 M3 has increase in weight and power. With more power and weight behind today’s vehicle it’s more important than ever to be able to decelerate the car quickly and maintain control. Just days after the unveiling of their newest special edition vehicle, the 911 Black Edition, Porsche has done it yet again, this time with the Boxster S Black Edition. Much like its big brother, the 911, this Boxster will offer unique features, but more importantly, more horsepower. The new Boxster will feature a long list of interior improvements and changes over the regular Boxster S. Namely a number of trim pieces, such as area around the gear selector for the PDK seven-speed double clutch transmission. If you choose the old-school 6-speed manual transmission the area around the shifter will be painted in black. Another special feature the Boxster share with the 911 is the use of aluminum and stainless steel trim pieces. All of these interior and exterior visual enhancements are courtesy of the standard Design Package, an option on other Boxster models. The Black Edition Boxster also features the optional Convenience Package as standard equipment. This package as such goodies as the includes Bi-Xenon headlights with dynamic cornering function, a wind deflector, auto-dimming interior and exterior mirrors, rain sensor and automatic climate control. But wait, I’m not done. This plentiful Porsche also has the Infotainment Package, giving the driver a host of entertainment options at their fingertips, literally. The package adds a touch screen Porsche Communication Management system (PCM), Bose surround sound stereo system as well as XM satellite radio. Now to the area which really matters, weight and horsepower. 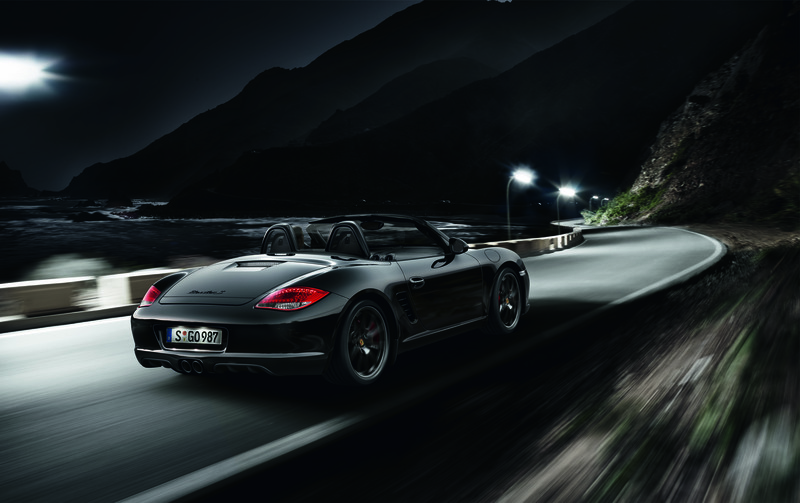 The Boxster S Black Edition features an additional 10-horsepower from its 3.4-liter six-cylinder engine. The end result is 320 hp at 7,200 rpm and 273 lb-ft at 4,750 rpm. Not only do you get added horsepower, but the fuel economy doesn’t suffer. Coupled with the PDK seven-speed double clutch transmission, the special Boxster S get an estimated 20 city and 29 highway. The 6-speed manual offers 19 city and 26 highway respectively. In the weight department this Boxster S has been on a diet. It features the lightest 19-inch wheels in the Porsche repertoire, and a lightweight spring-strut suspension. All in all the Boxster S Black Edition appears to be a very good value for the money, $65,200 MSRP. You get more horsepower, more features and optional packages for less money. Porsche says that compared to the MSRP of a similarly equipped Boxster S, the Boxster S Black Edition saves the customer $3,200. And that sounds like a good deal, especially when you drive out of the dealership with a special edition Porsche, your left hand on the steering wheel, your right on the gear selector and $3,200 in your back pocket. 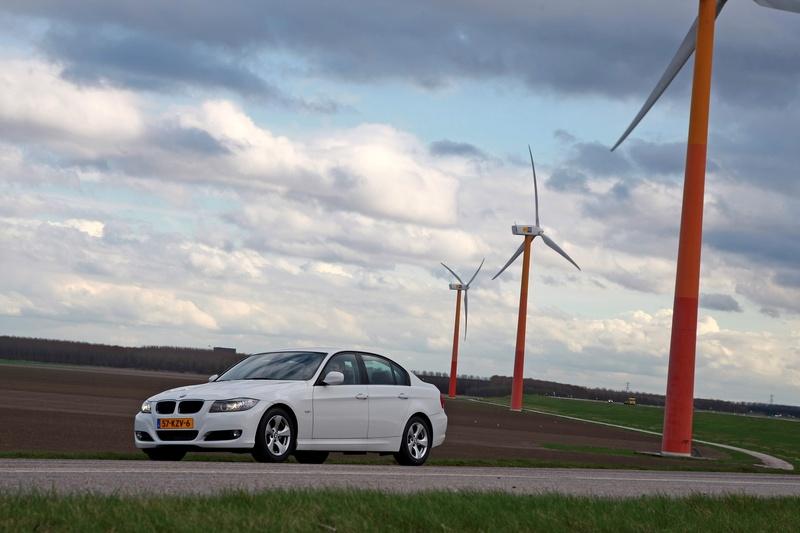 High performance and fuel efficiency are not something that tend to go hand in hand. However, German manufacturers, particularly Mercedes-Benz AMG and BMW Motorsport have embarked on a new quest. It’s no longer acceptable to have the car with the most horsepower and torque, or the one with the largest displacement engine. In today’s ever-evolving high-performance race to produced the world’s best super sedan, it’s much more important to leave the competition in the dust, and do it in a cleaner and more fuel-efficient manner. There are three German manufacturers who produce a high-performance version of their standard family hauler. And although all three, Audi, Mercedes-Benz and BMW can claim to have the highest performing and cleanest burning engine, and subsequently the best vehicle, this comparison will only focus on two of the three. The major reason for this is because the Audi RS6 isn’t offered for the U.S. market. The Audi S6 is a very capable vehicle in its own right, but it really can’t compete with the likes of the CLS63 AMG and upcoming BMW F10 M5. For the record, the Audi RS6 officially gets a combined 17 mpg in Europe and is powered by a 5.0-liter twin-turbocharged V10, producing 580 hp at 6,250 rpm and 479 lb-ft of torque at 1,500 rpm. Mercedes AMG seems to have fired the first shot in the latest super sedan war. 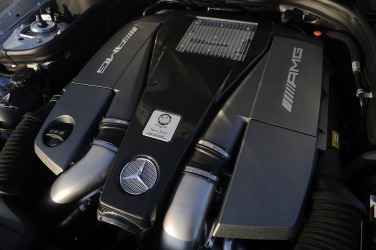 In November 2010 Mercedes AMG revealed their all-new 5.5-liter twin-turbocharged V8 engine, replacing it’s predecessor, the 6.3-liter naturally aspirated V8. The 5.5-liter twin turbo offers a 33% increase in fuel efficiency over the 6.3 NA, resulting in an estimated 16 mpg city and 21 mpg highway. The 5.5-liter also produces more horsepower and torque, with 518 hp and 516 lb-ft respectively, 550 hp and 590 lb-ft with the optional AMG Performance Package, as opposed to the 507 hp and 465 lb-ft from the old power plant. Although Mercedes AMG has been the first out of the gate in the sedan race for the U.S. market, their competition, namely BMW Motorsport have been busy in the secretive depths of Munich and Garching, preparing their answer to the 2012 CLS63 AMG, the all-new BMW F10 M5. Although details of the upcoming ‘bahn-burner have been numerous, few have been concrete. However there are certain things that seem to have been figured out. The F10 M5 will be powered a highly tuned version of the 4.4-liter twin-turbocharged V8 engine that currently powers the X5M and X6M. Horsepower estimates range from the upper 500’s to even 600 hp. In a September 2010 interview with Kilometer Magazine, BMW Motorsport CEO Dr. Kay Segler said the F10 M5 will reduce CO2 emissions by 20-25 percent. “We had very clear targets, and we worked toward those targets. Twenty to twenty-five percent less CO2 output, day-to-day car and a pure sports car in one, and a beautiful design as well,” said Segler. 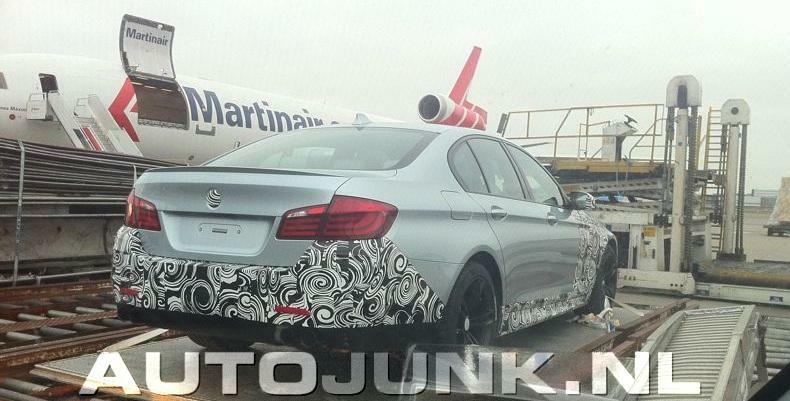 The location of the F10 M5 debut is still uncertain. However one thing is for certain, the fast-paced race to produce the greatest super sedan seems to be escalating, and is getting more intense with each passing day. Unfortunately, the verdict on the world’s best super sedan will have to wait for the foreseeable future, or at least until enough automotive journalists have had the chance to drive the F10 M5 to make an educated decision. Mercedes-Benz has announced the C63 AMG will be enhanced cosmetically and feature new technologies for the 2012 model year. The C63 AMG will now feature the 7-speed AMG Speedshift MCT transmission, with a “controlled efficiency” mode that Mercedes says will improve fuel efficiency by up to 10 percent. The AMG MCT transmission is currently featured on the SL63 AMG. Another new feature for the 2012MY is the addition of the AMG Development package, currently available on the SLS AMG. Purchased in conjunction with the AMG Performance package, the development package will offer improved performance and handling. The stock engine output will be increased from 451 horsepower to 481 due to forged pistons, connection rods and lightweight crankshaft, borrowed from the engine in the SLS AMG. The development will offer special cosmetics as well, including a titanium gray intake manifold, AMG performance braking system with red-painted brake calipers, a carbon fiber spoiler on the trunk lid and the AMG performance steering wheel. The suspension will be yet another part of the C63 AMG to be revised for the 2012MY. Mercedes AMG has changed the front axle, rear axle and has widened the rear track, resulting in increased responsiveness and agility. The front damper and springs have been improved too. 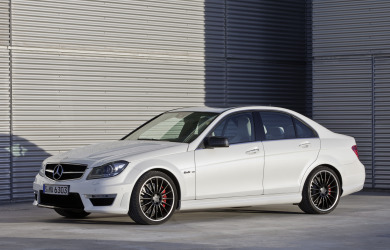 The 2012 C63 AMG is scheduled to make its U.S. market debut in the fall of 2011. Four cylinders, with a twist: BMW four-cylinder engine returns to U.S.
For the first time since 1999 BMW will offer the U.S. a four-cylinder engine as part of its power plant lineup, and while the four-cylinder isn’t as famous as BMW’s inline-six, it still brings back some great memories. 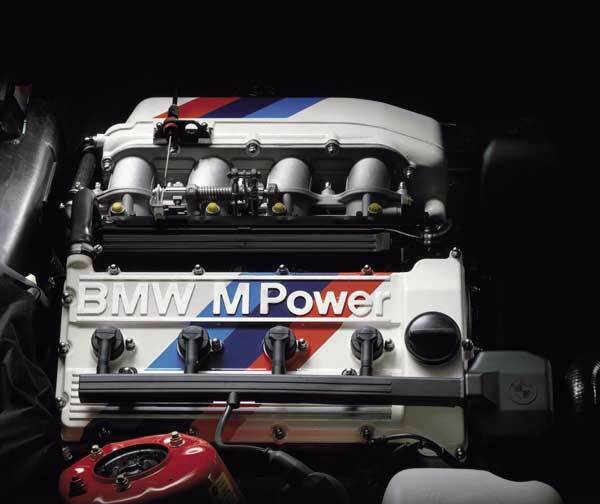 The inline-four cylinder S14 is perhaps BMW’s most iconic engine of all-time. The 2.3 liter version powered the legendary E30 M3 in the U.S., and Evolution I and Evolution II homologations in Europe. 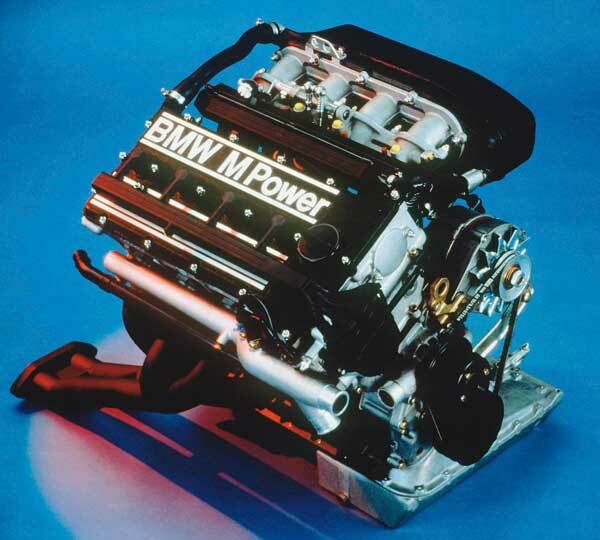 The final and subsequently larger 2.5 liter powered the 600 examples of the Sport Evolution in 1990. This is the S14 we’re talking about, an engine that powered the E30 M3 to numerous titles, including two Deutsche Tourenwagen Meisterschaft (DTM) championships, two European Touring Car Championships and the World Touring Car Championship in 1987. The new four-cylinder engines debuting for the U.S market in 2011 will still have four cylinders, of course, but will have a twist, quite literally in fact. The new generation will feature a twin-scroll turbocharger system with high-pressure direct-injection along with BMW’s Valvetronic intake control system. The result of all this added technology is a maximum power output of 240 horsepower at 5,000 rpm and 260 lb-ft of torque at 1,250 rpm. BMW claims the new four-cylinder engine will offer the same power output as a traditional naturally aspirated inline-six engine. This is partly due to the all-aluminum crankcase and a whole host of other high-tech engineering, resulting in a more efficient and cleaner running and burning engine. With 240 horsepower the new four-cylinder will definitely have more than enough power and acceleration to make quick runs to the grocery store, or a spirited jaunt on a back country road for that matter. 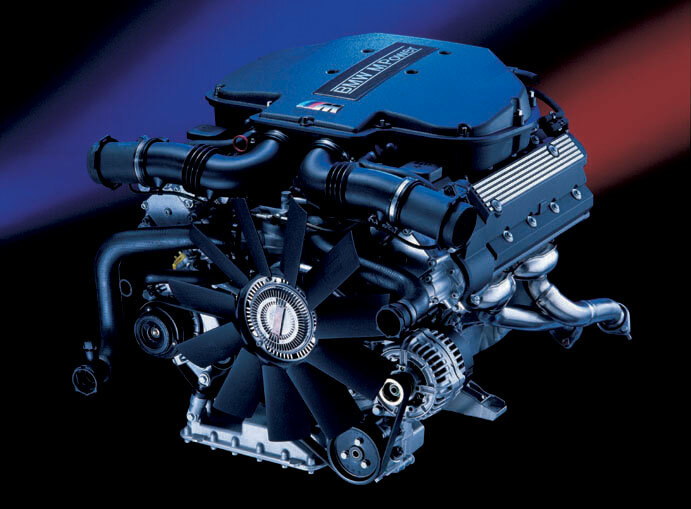 Another aspect to a small displacement engine’s appeal is getting more bang for your buck. Whether it’s the turbocharger or the fear of gasoline prices being projected to rise significantly throughout the year, people want to know they’re getting a good deal and something made to last. And the new BMW four-cylinder engines seem to be a smart choice, both for those searching for more economical and fuel-efficient, while not having to give up the trill and excitement of passionate driving. Here is the BMW E92 M3 Coupe at the New York International Auto Show in April 2010. The car features a 4.0 L V8, producing 414 HP at 8.300 RPM. Not many people get the chance to sit in a car worth $200,000, so when I was presented with the opportunity to do so at the Connecticut International Auto Show on Nov. 20 I took full advantage. I found myself sitting in a two-seat, Autobahn blistering, 563 horsepower, $200,000 ballistic missile, also known as the Mercedes-Benz SLS AMG. As I first moved towards the vehicle the first thing that caught my eye was the gullwing door. 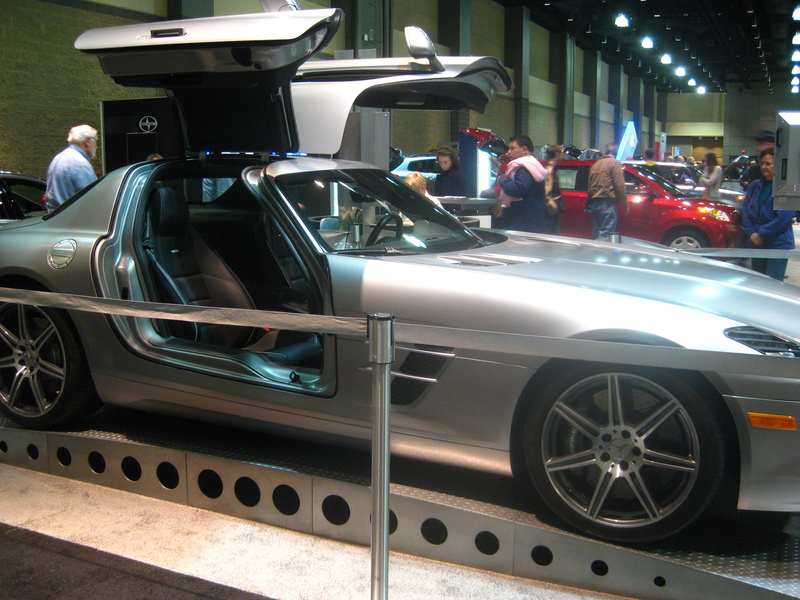 A gullwing door is very different than a conventional car doors, in that it opens upwards to an angle of 70 degrees and the door hinge is located at the top of the door, as opposed to the left side with most vehicles. As I moved closer I started to smell leather, lots and lots of leather. The interior of this particular SLS AMG was covered from head to toe. It was a moving masterpiece. The entire dash, from the top of the instrument cluster to the air vents, was covered in leather. So was the vast majority of the gullwing doors. The steering wheel consisted of leather and polished aluminum and portions of the top of the center console were leather, as was both sides. All of this leather, which smelled of high quality and class, was carefully held together with striking white contrast stitching. After viewing the stylish interior I decided it was time to actually sit in the driver’s seat. After seeing the interior from outside the car I thought sitting in it would send me into automotive bliss. However looks can be deceiving and getting into the car wasn’t as easy as expected. The car was slightly elevated on a display stand, and although the car sits very low to the ground, I had to sit on the edge of the seat and swing my legs in. So the entry didn’t go as smoothly as I expected, surely sitting in the driver’s seat would erase any memories of the seconds before…wrong! When I finally wrestled my way into the driver’s seat I was shocked to find myself somewhat confined and cramped. I had heard that anyone six feet or taller could have a hard time sitting in a supercar, but I didn’t think that would apply to me. Here I was, sitting in a $200,000 supercar, capable of reaching a top speed of 197 miles-per-hour, and all I was thinking about was how the top of my head was sitting above the roofline. After my experience inside the car I took my video camera and explored the outside of the car. However I couldn’t get my thoughts of the interior out of my mind. Looking back on it, I’m sure if given the opportunity to actually drive the SLS AMG I would’ve made myself fit, no matter how confined and cramped the interior was. Now, looking back on my first experience sitting in a supercar I realize it wasn’t as bad as originally thought. After all if I was actually driving the car I’m sure the acceleration from the 6.2-liter V8 would push me down in my seat, giving me enough space for my head to squeeze under the gullwing door. I’d be smiling from ear to ear.